B&M Auto Sales and Parts is comprised of hardworking Americans dedicated to serving your automotive needs. Whether you need to search for the best used auto parts Wisconsin offers or are looking for recycled auto parts in Waukesha, our friendly staff is eager to assist with all your auto supply needs. Our Wisconsin auto sales team includes knowledgeable auto sales representatives, shipping and receiving inventory specialists, experienced delivery drivers, an automotive dismantling crew and an incredibly organized bookkeeping staff. At B&M Auto's Waukesha salvage yard, we work together as a unified team to do what it takes to keep our customers happy. Unlike other big chain auto suppliers, our family-owned Wisconsin automotive center runs on the cooperative excellence needed to build lifelong client relationships. Contact our Wisconsin recycled auto parts facility to learn more about the best used car parts Wisconsin has to offer, as well as eco-friendly automotive recycling services. 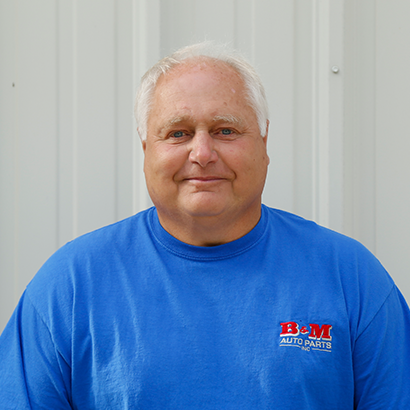 Robert Ogrezovich is a second generation co-owner, Vice-President, and Secretary of B&M Auto Sales and Parts, Inc. For Bob it was a natural to transition right into working within B&M. In his forty plus years within the industry, Bob has maintained and overseen the day to day operations of vehicle dismantling, scraping, and the final recycling of used vehicles. Bob’s extensive knowledge is clearly shown through how vehicles are processed, and how he manages B&M’s yard to the highest standards of cleanliness and organization. In his free time Bob enjoys time away, and buying and selling antique collectables. Mike Ogrezovich is a second generation co-owner and President of B&M Auto Sales and Parts, Inc. Over Mike’s fifty years in the automotive recycling industry he has served as the President of the Concerned Auto Recyclers of Wisconsin, as well as sat on numerous boards within the industry. Mike is a 1973 graduate of the University of Wisconsin - Stout, holding a B.S in Automotive Technical Education and a minor in Safety. In his spare time Mike enjoys spending time with family and friends, and racing his vintage stock car. 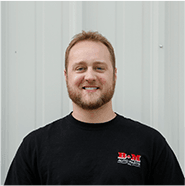 Part of the third generation to work at B&M Auto Sales and Parts, Inc. Jeff Ogrezovich has dedicated over fifteen years to learning and improving the daily operations of B&M. From delivering parts, taking sales calls, and streamlining inventory, Jeff has used this hands on knowledge to continue to grow in his current position as General Manager. 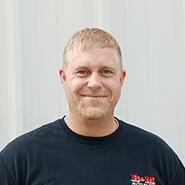 Jeff has a focus on the future, including involvement in the industry by participating in United Recyclers Group and the Upper Midwest Recyclers Conventions, as well as contributing to Automotive Recyclers C.C.P. Storm Water Program, Jeff is working daily towards B&M’s growth. In his spare time he enjoys riding his motorcycle, and spending time with his pets, friends, and family. 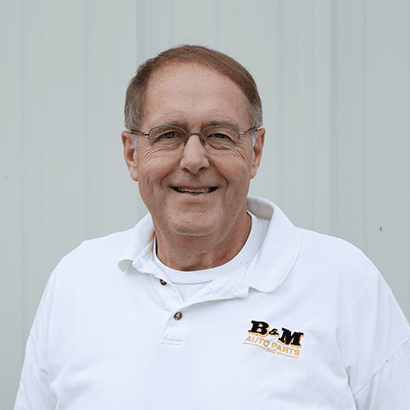 Part of the third generation to work at B&M Auto Sales and Parts, Inc. Jim Ogrezovich has nearly twenty years of sales experience. As Sales Manager, Jim demonstrates diversity in the industry through his working relationship with both wholesale and retail customers. Jim furthered his involvement in the automotive recycling industry with two years on the board of directors with the Concerned Auto Recyclers of Wisconsin. Jim completed his Associates Degree in Business Management from Waukesha County Technical College.